Before we get to today’s post, we’re excited to invite you to SAVE BIG during our Best Sale of the Year! Got a lengthy wish list? Now is the time to treat yourself to some special new supplies because you deserve it. Or why not get some Christmas shopping done for one of your favorite crafty friends? In addition, you can save even more by visiting our Sale category where items are 40%-50% off the retail price, and you'll receive an additional 30% off those items as well. Act fast! This sale is for a limited amount of time, and you won't want to miss it! Not valid on previous purchases. This sale is available for online retail orders only. Please note that today is the last day to take advantage of these great savings! Now, let's get to today's learning experience! With the holiday season ramping up, you may be looking for just the right way to dress up some gifts of food and drink to share with friends. Pull up a chair and get some great ideas for making your delicious gifts extra special! Watch the video below or click here (MFT November Release Class - Cookie Mix Hostess Gift) to watch it on YouTube. Don't forget to subscribe to our YouTube channel so that you don't miss a single tutorial! Let's take a look at more examples of how you can create gifts of food for Christmas and all the year through! 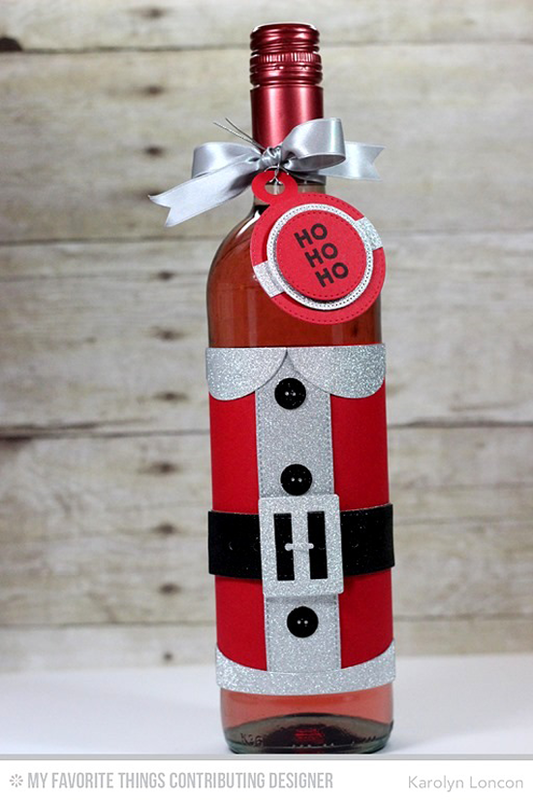 Clever Karolyn created this adorable and festive wine wrap using the Santa Suit and Tag Builder Blueprints 4 Die-namics. Our Gift Tag Greetings stamp set is perfect for personalizing your holiday gifts. 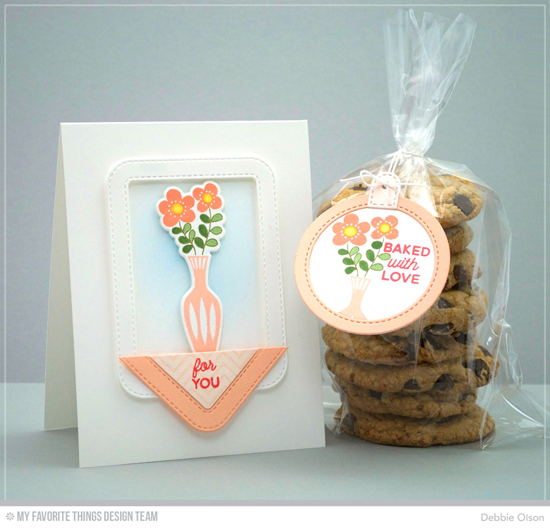 The Kitschy Kitchen Card Kit is a must-have when it comes to creating yummy gifts! Debbie's fresh design looks good enough to eat! Switch the color scheme to something Christmasy, and you're all set with this inspiration. Torico's tags would be a perfect addition to a plate of cookies, a tin of popcorn, a bag of nuts, or even on a big candy cane. Tag Builder Blueprints 6 and the confetti from our Merry Christmas Centerpieces Die-namics make for super cute and FUN shaker tags. You will LOVE creating memorable gifts! Be sure to tag #mftstamps when you post your projects online. We can't wait to see what you've made!